Hegra Luxor is another one of our most popular models. It presents an optimal combination of production technology, quality materials and affordable pricing. 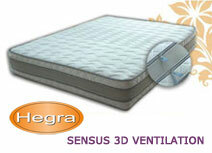 Hegra Luxor is taking care of you – giving you the opportunity to enjoy a healthy and restful sleep. The core of Hegra Luxor comprises of spring nucleus made of 250 steel springs per sq. m. individually insulated in textile pouch es, produced by the swiss standard and production technology of “Spuhl” . 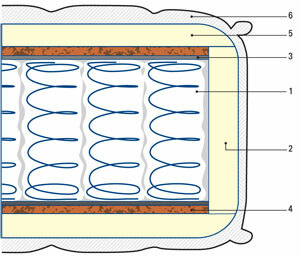 This technology is recognized as world's best standard, and known as “Pocketed springs ”. The materials comprising the spring nucleus do not change their flexibility properties with time and allow high level of ventilation. Hegra Luxor adapts to the individual body shapes. The spine is in an ergonomic position in any sleep position you prefer. 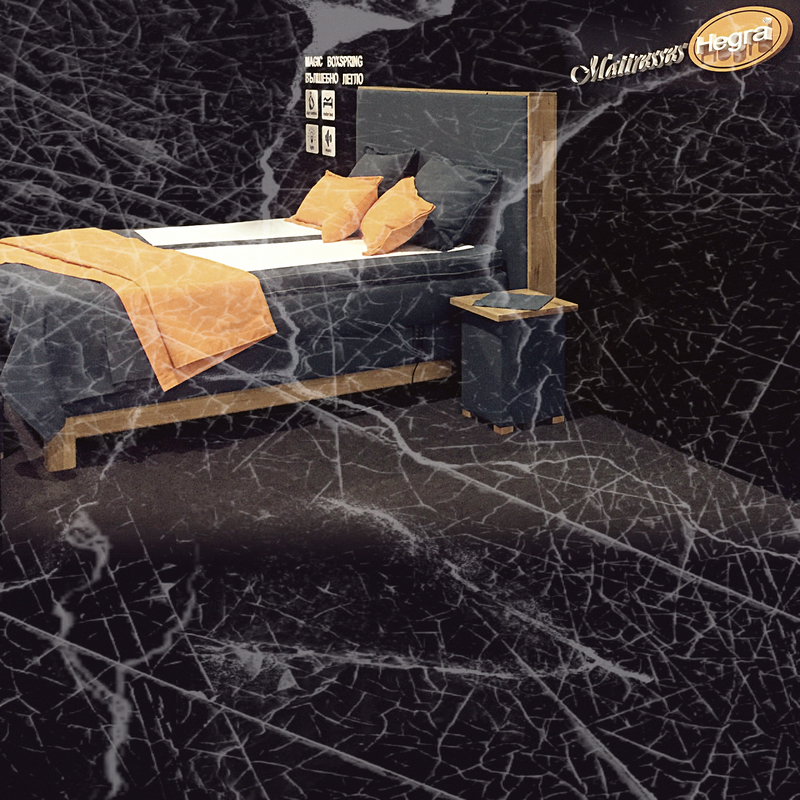 The mattress shapes itself to your weight and adequately supports the body. In the meantime it also provides stable support. Luxor reduces tossing and turning at night by eliminating pressure points which helps your body recover from tension and stress.The mattress do es not retain moisture and is inhospitable to fungus and bacteria. It allows air to easily circulate throughout the foam and helps your body to sustain its natural temperature levels. The upholstery is made of high quality triple woven stretch tricot, quilted in various forms. The fabric is dust-resistant and do es not support the formation of microorganisms. 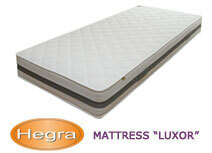 Hegra Luxor guarantees relaxing and healthy sleep. It is recommendable for people with allergic or respiratory problems, as well as for the prevention of them. 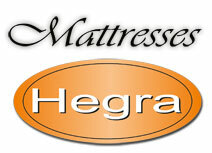 Hegra Luxor is the perfect modern mattress at affordable price, suitable for any home or taste. If the construction of your bed does not allow you to use a double sided mattress, we are also offering Luxor in a version of a single sided mattress.